This week, a local theatre invites the audience to be part of the production, a world-renowned violinist visits Oklahoma, Robert Louis Stevenson’s most famous book becomes a musical, and art students are showcased in their university’s museum. The Carpenter Square Theatre in Oklahoma City premieres an interactive play that encourages the audience to become the jury. 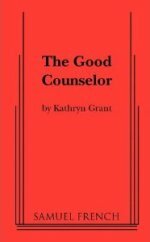 In “The Good Counselor,” a lawyer is assigned to a touchy case; his client has been accused of murdering her own child. Throughout the course of the trial, issues are brought up with his own neglectful mother as he searches for the truth. The play opens Friday, January 11th at and continues through February 2nd. Show times begin at 7:30 p.m. on Thursdays, 8:00 p.m. on Fridays and Saturdays, and 2:00 p.m. on Sundays. The Oklahoma City Philharmonic performs with violinist Stefan Jackiw during its next concert “Pristine Visions.” Jackiw began playing violin when he was four years old and began performing professionally at age 12. He received the Avery Fisher Career Grant in 2002 as well as the Louis Sudler Prize in the Arts. The concert on January 12th begins at 8:00 p.m. at the Civic Center Music Hall. The orchestra performs Dvorak’s Symphony #8 in G major and Beethoven’s Violin Concerto in D major, which features Stefan Jackiw. Celebrity Attractions brings Robert Louis Stevenson’s macabre tale to the stage at the Oklahoma City Civic Center Music Hall for a limited time only. From January 15th through the 20th, actors portray Stevenson’s characters in a musical rendition called “Jekyll and Hyde.” The show includes songs such as “This is the Moment,” “A New Life,” and “Someone Like You.” The concept and music are by Steve Cuden and Frank Wildhorn. The stage adaptation premiered in 1990 but did not get to Broadway until 1997 where it ran for over 1,500 performances. The 99th Annual School of Art & Art History Student Exhibition at the Fred Jones Jr. Museum of Art opens to the public January 15th. Students from the University of Oklahoma’s art program participate in this juried show for the chance for their work to become part of the museum’s permanent collection. This year’s guest judge is the Director of the Arts at Bacone College in Muskogee, Tony Tiger. An opening reception for the artists is January 18th from 7:00 to 9:00 p.m. Awards are announced that evening, and the artwork is on display through February 10th. Find more events in your area on our calendar page.